1 level WAD, inustrial/hitech style. modeled on a uac base on mars. a good challenge!. Description             : 1 level WAD, inustrial/hitech style. modeled on a uac base on mars. 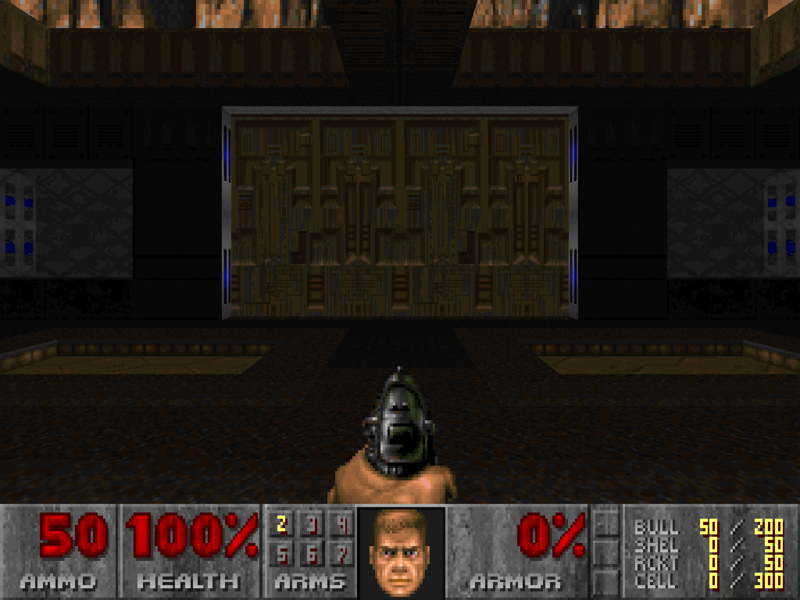 Additional Credits      : ID for DOOM 2.
: ben morris for DCK. : the author of wintex. Deathmatch 2-4 Player   : yes, not fully implemented. dehacked                : yes, changes map name in automap. for zdoom. Editor used             : DCK v3.62 by Ben Morris,wintex 4.3,wadauthor. you credit me for them (email me a copy of it, I'd love to see it). You may distribute this file in any electronic format (BBS, Diskette, CD, etc.) as long as you include these files intact.